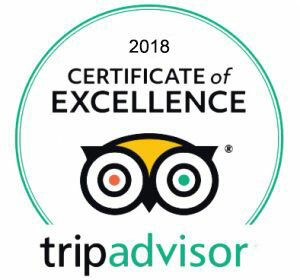 With over (30) years experience in the Riviera Maya, we specialize in small intimate groups, provide friendly bi-lingual knowledgeable guides, first-class transportation, top-notch sanitized equipment, an excellent (4) course meal at famous Oscar & Lalo Restaurant (depends on tour selected) and Snacks and Drinks throughout the day. You will have the ability to experience many wonderful Mayan ruin sites, including Tulum, Ek Balam, Coba, Chichen Itza and other unique Mayan archaeological sites. Snorkel in the crystal-clear waters of the Cenotes, Caribbean Sea and Lagoons. Snorkel with Sea Turtles, Whale Sharks, Manta Rays and a host of other Tropical Sea Life in the beautiful crystal clear Caribean Sea, while enjoying the gorgeous Mesoamerican Barrier Reef System. Enjoy the awesome natural formations of one of the world’s largest Underground River Systems and Caves in the inland Cenotes (Natural mineral pools). Zip-line and Canoe over a beautiful peaceful Lake in the middle of the Jungle. Cliff dive into a crystal-clear natural blue mineral pool. We provide Pick-up and Drop-off transportation from and to all hotels located from Tulum Beach to Playa Del Carmen City. In addition to our tours, we will also do custom tours. Riviera Adventours is your natural choice to guide you through the Riviera Maya and Yucatan Peninsula. Which ever tour you choose, you will have the opportunity to de-stress, reconnect with your senses and get into your element – relax and let us be your guide while we provide you with a unique experience you will not forget!